Now that the holidays are right around the corner and the weather is getting cooler, you&apos;re probably dreaming about egg nog. Well, at least I am. Let&apos;s face it, I&apos;m a Foodie! When am I not thinking about food and beverages? I&apos;m also still reminiscing about the North Carolina State Fair. I&apos;m so bummed I missed out on enjoying Howling Cow ice cream during the fair, which is hand dipped by students in N.C. State University&apos;s Food Science Club. I blame my lack of self control around the massive amounts of fried food! Thankfully, you don&apos;t have to wait until the N.C. State Fair comes back around to eat a scoop of Howling Cow ice cream. 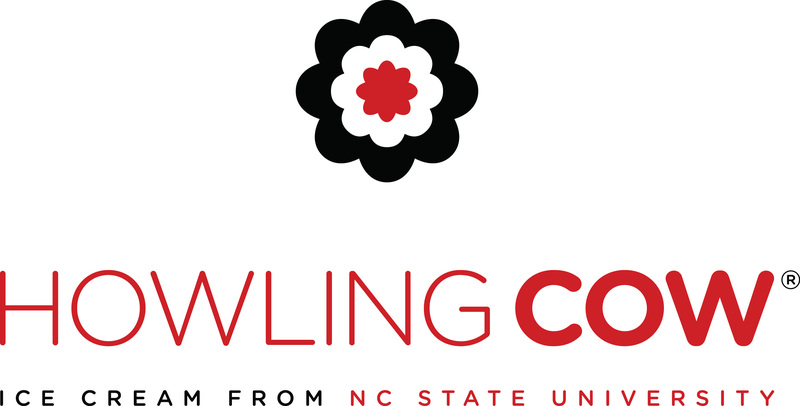 For nearly a century, North Carolinians have enjoyed N.C. State University dairy products, branded as "Howling Cow" in 2008. N.C. State University produced the state&apos;s first pasteurized milk in 1918 for soldiers stationed at a nearby army base. Howling Cow has come a long way; today you can purchase over 20 ice cream flavors in cups, pints and even 3-gallon tubs. You can also purchase ice cream cones, sundaes and milkshakes at various locations around campus, including The Creamery in D.H. Hill Library. So what makes these dairy products superior in taste and quality? The milk, of course! Gary Cartwright, director of the Dairy Enterprise System, manages all aspects of the university&apos;s dairy commodity, a true cow to consumer process. N.C. State University’s Lake Wheeler Road Dairy Research and Teaching Farm, just a few miles away from campus, has more than 300 total cows, about one-quarter Jerseys and the rest Holsteins. N.C. State University students run the milking parlor, where these cows generate about 30,000 gallons of milk each month. After the cows are milked, the milk is taken to the dairy plant in N.C. State University&apos;s Schaub Hall, which is called the Feldmeier Dairy Processing Facility. This is where the magic happens! Here the milk is pasteurized and students learn about the science of dairy processing. The milk is then packaged in 4-ounce cartons and 5 gallon bags for cafeteria milk dispensers throughout campus. The milk also serves as a basis for the famous Howling Cow ice cream. Trust me, I&apos;m a believer. I visit The Creamery on N.C. State&apos;s campus at least a few times each month. 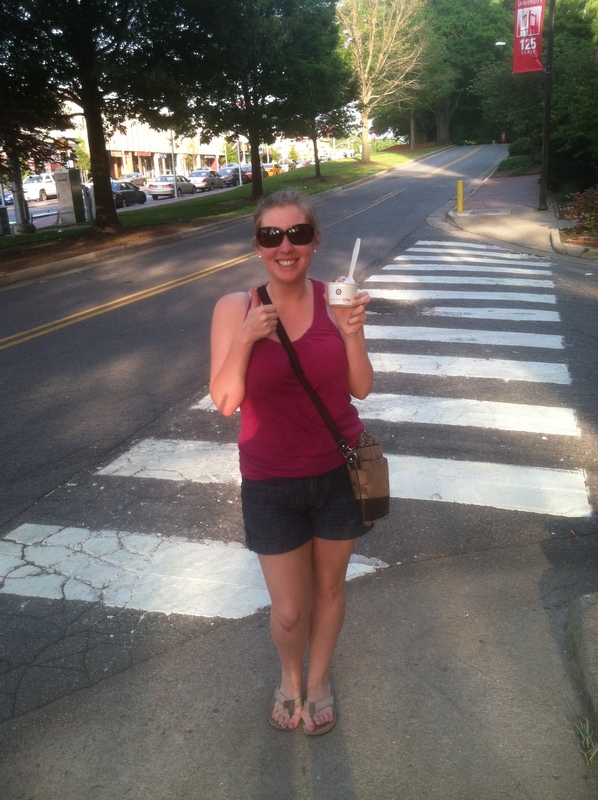 With over 20 flavors of Howling Cow ice cream to try, at least I have an excuse to keep on coming back! You don&apos;t have to be a student to purchase ice cream either. I&apos;ve tried every flavor and among my favorites are the chocolate chip mint, pecan krunch and the Chancellor&apos;s Choice, Wolf Tracks. New flavors are also constantly in the works. I swear, it&apos;s like they know I&apos;m addicted to sweets! I recently tried the banana pudding ice cream, which reminded me of hot summer days at my Grandma&apos;s house in the South. Not only are new flavors being created, exciting things are happening for Howling Cow. The opening of N.C. State&apos;s Creamery, an on-campus dairy retail operation and ice cream parlor addition is planned for the north side of Schaub Hall. Keep this upcoming Foodie event on your radar! Next time you&apos;re craving something sweet, head on over to N.C. State&apos;s campus. Most nights The Creamery in D.H. Hill Library is open until 1am! A chocolate milkshake is calling your name, right? I might have to stop by to pick up some egg nog, too.